The pre-K years are a time of promise, a time when young children's bodies and minds are growing at an incredible rate. The pre-K years are a time for learning. Amid the growing awareness of the importance of quality early childhood education, researchers and policymakers are underscoring how critical it is for children to be prepared for kindergarten. 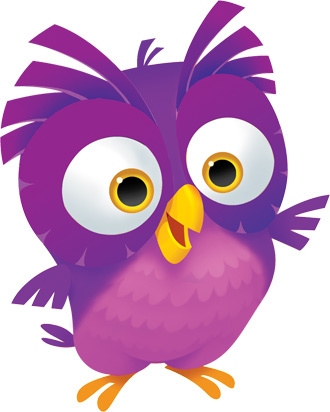 With Opening the World of Learning ™ (OWL) as your Pre-K comprehensive curriculum, you can rest assured that your kiddos will be On The Way To K! 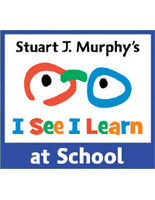 Opening the World of Learning is a comprehensive pre-K curriculum, equitable in English and Spanish. OWL prepares children for Kindergarten with ongoing assessment of research-based success predictors and playful, purposeful, and personalized instruction. OWL is based upon the belief that immersion in a learning-rich, pre-K environment is critical but not sufficient. The environment and interactions must be thoughtful and purposeful. All parts of the day should be considered opportunities for learning, and the teacher should know the curriculum content, instructional strategies, and individual children well enough to be responsive in a variety of situations. Through the use of essential questions, teachers help children connect content to their experiences, which takes them beyond rote learning and leads to thoughtful, reflective learning. OWL has the right balance of resources for pre-K teachers and children, too. In the clip below, we have an opportunity to meet Ollie the OWL and a couple of his friends as contributing author, Dr. Juanita Copley shares some of the research supporting the need for a focused and engaging curriculum within pre-K classrooms. By highlighting the emphasis on science, math and technology embedded within OWL’s early learning curriculum, this video provides a glimpse into an OWL classroom and illustrates how engaging activities introduce pre-K students to a world of learning. 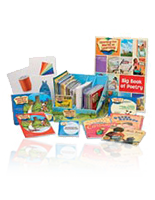 The OWL curriculum is designed to develop oral language and early literacy skills for Pre-K children. All components include English and Spanish versions. 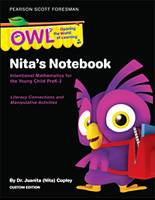 OWL is based on thorough knowledge of the research on early learning and childhood development. 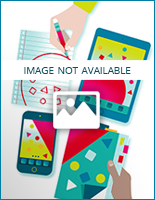 Pearson is also committed to examining the implementation and effectiveness of our curricula.